The one day safari is among the gorilla trekking tours in Uganda from Kigali. This tour is for people with very little time and looking at saving money as well. The short budget gorilla safari involves shorter driving from Rwanda, trek gorillas and return in the evening. This gives you a room for relaxation up return or take your next flight out of Rwanda. This trip is among the 1 day tours in Uganda but not from Kampala. A one day trip in Uganda starts from Kigali in Rwanda with a pickup in early morning and a drop in the evening. From Kigali, you drive to Bwindi Impenetrable National Park for a gorilla adventure. This safari is among the budget gorilla trekking tours in Uganda as it’s done in just 12 hours. From Kigali, one goes through Kabale or Kisoro towns to reach the park’s gorilla groups found in the southern section of Bwindi. The gorilla safari includes one gorilla permit at USD 600 per person as per the final price. 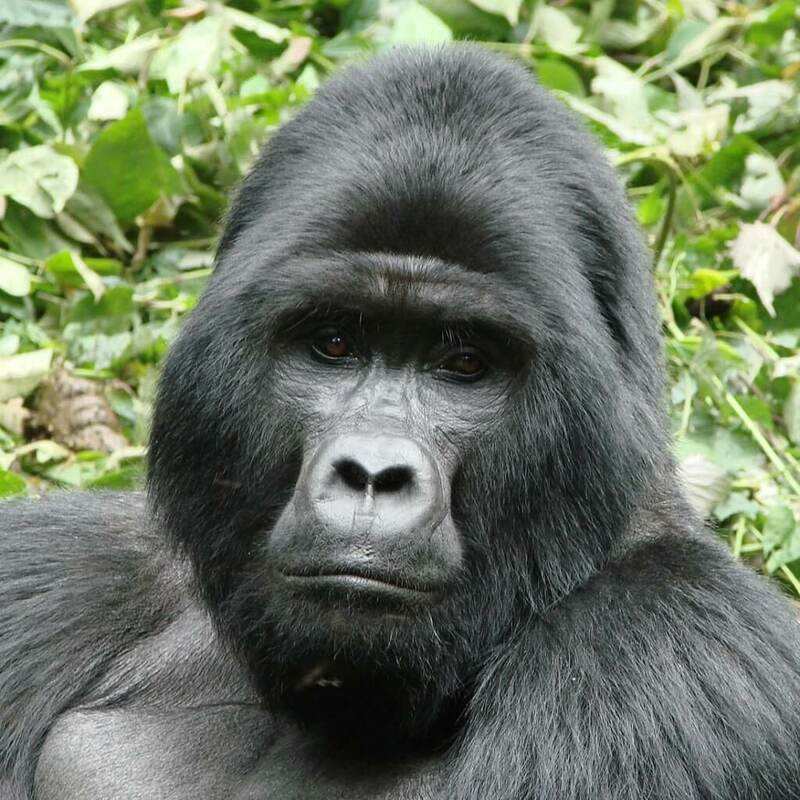 This trip is among the best gorilla tours since it is time-saving and less costly. And the best time for this tour is anytime of the year since one can prepare for weather conditions in your packing list as you come for the visit. Bwindi National Park was opened in 1993 and covers an area of 33 square kilometers. It has over 12 habituated gorilla families accessible to visitors for trekking. The park has over 120 mammals, 348 bird species, 27 species of chameleon, 220 butterflies as well as several plants including 163 tree species, 1000 flowering plants, 104 species of ferns and plus more. The birds typically seen in Bwindi include the turacos and horn birds. The primates include mountain gorillas, colobus monkeys and baboons. Your driver guide will pick you up from your hotel in Kigali by 5:00 am after your breakfast. You will then drive to the vast Bwindi impenetrable National park and arrive early to the park headquarters at the moments of briefing. You will then be allocated a group of 8 visitors maximum to start your hiking in search of the primates. The number per group may be lower based on the season or travelers of the day. In the company of the park rangers, you will then begin the search for mountain gorillas in the thick forest of Bwindi. Hiking might be tough at times in that you need a walking stick and a porter to help you on the extra weight. Gorilla Trekking needs someone physically strong to walk for longer even though weaker ones may as well be allocated nearby gorilla groups that demand less energy. Once you come face to face with the gorillas, you will be guided on how to conduct yourself while with the giant peaceful primates. Among the gorilla trekking rules include keeping a 6 meter distance from them, no use of flash cameras, low noise and remaining calm once the gorilla comes to you. How long the trekking process is unpredictable since the exercise is depend upon their location and movement on that day. After spending one hour officially granted to visitors, you will walk back to your waiting driver, transfer to a nearby lodge for lunch and then get on the road back to Kigali. What is included in the Gorilla Trip? What is Excluded on the Tour?